About us... The Right TeaM! to The Right Tea website! Let’s introduce the team behind The Right Tea website. We are, as like to say, The Right TeaM, here to welcome you, to guide you through the tea making and drinking experience. My name is Maria and I am passionate about tea. With a family history of heart disease, tea has been a part of our lives for a very long time. 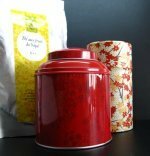 I first fell in love with the world of tea while on a trip to London, more than 10 years ago. I was searching for the perfect gift for my father and I found it in a tea shop in Covent Garden. A decaffeinated Japanese Green tea was perfect for recovering from a heart condition. Perhaps a new flavor would help him let go of coffee or black tea and turn to green tea. Back home, we brewed the first pot and waited… Its smell was wonderful, the taste was amazing, and the sight of the leaves unfolding inside the teapot was simply magical. This was the beginning of my journey in search of the right tea. No longer did a simple teabag suit me. I had to learn more. I had to try different teas, learn about them, taste them, smell them and enjoy them. For the past 10 years I have been researching, travelling and learning about tea. In 2008, a friend suggested starting a website. Her help during the first years, research in books and workshops, all made it possible to create the website: TheRightTea.com. In June 2018 I obtained the diploma of Certified Tea Specialist from the World Tea Academy. 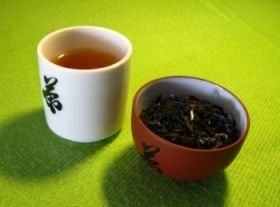 It is my desire to further my studies and journey deeper into the world of tea. Today, my husband shares this passion with me and he is right there along with me, travelling and taking the wonderful pictures that help illustrate our website. We try new teas, share ideas and experiences, but our journey is far from over. 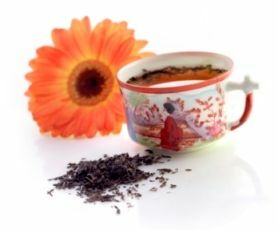 The goal of The Right Tea is to give you an easy to read website where you can find and follow all about the benefits of tea. We wish for you to have a place where you can learn more about your favorite tea, a place where you can get fresh ideas and experience new ways of drinking tea. And along the way, we hope that you will also be able to lead a healthier and happier life. May tea make you as happy as it makes us. Welcome to The Right Tea! We hope you enjoy our website as much as we have pleasure in preparing it for you. Would you some suggestions to get you started? "At last, I have entered the world of tea"